A friendly face of bulldog boulder. Spring is (finally) upon us. The days are lasting longer, the temperatures are creeping up, and — suddenly — summer vacations and BBQs don’t seem quite so far off. Isn’t it amazing what a difference that makes to your soul, spirit, and mood? We’re definitely feeling it around here. 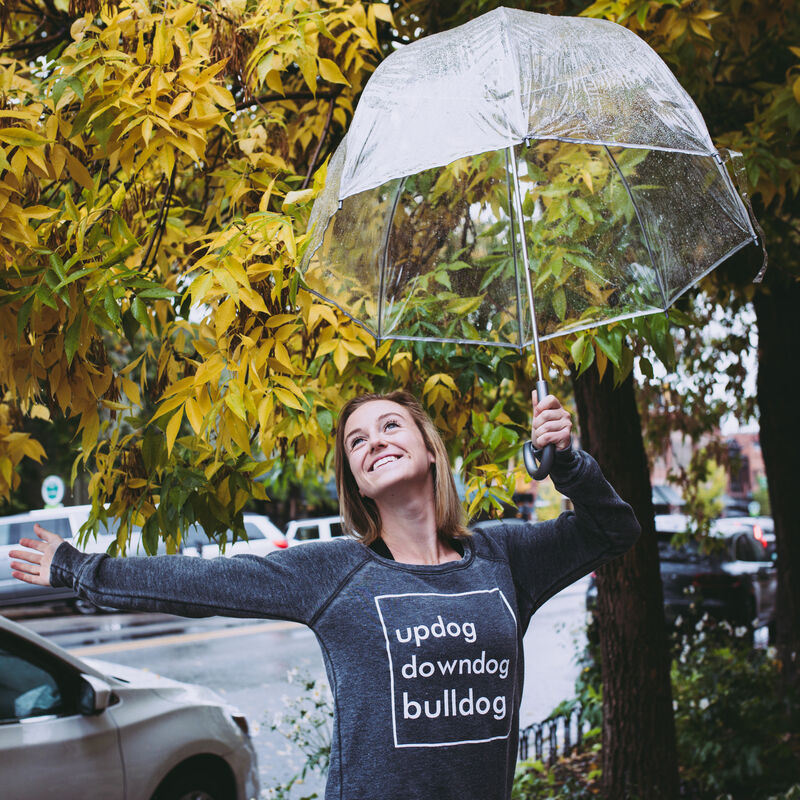 This month’s featured bulldog leader — Sarah Woodward — is a huge fan of all things outdoors and thrill-seeking, and she’s celebrating this new season and all it has to offer right there with ya. 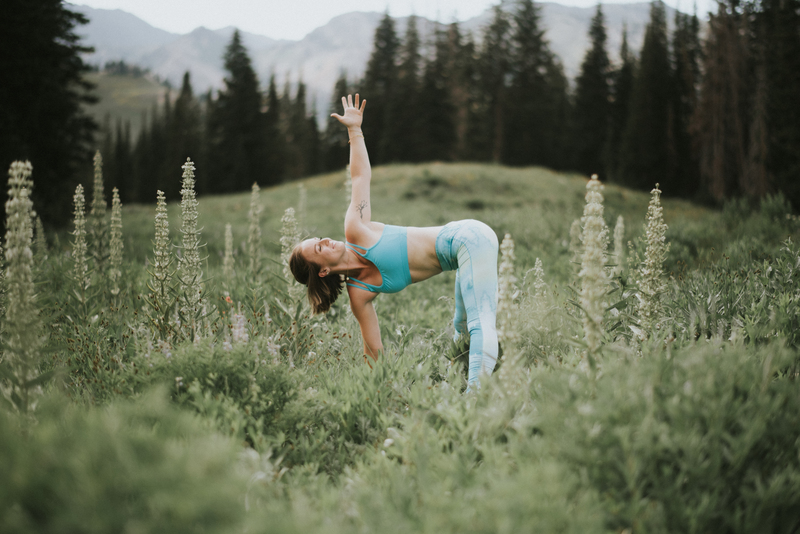 Catch her hiking Colorado’s mountains, reading a book in the fresh air, and exploring Boulder early in the morning (thanks to her new wake-up time… more on that below!). Doesn’t Sarah sound so cool? Well, she is. Keep reading to learn more about what activates, invigorates, and exhilarates her. What activates me: A good book! I’m a nerd for words! Reading the news is my favorite way to wake up my brain each morning, and I love to round out the evening with a glass of red wine and a novel. Reading allows me to travel even when I’ve used up my vacation days and it helps me train for my daily attempt at the New York Times crossword puzzle. Whether I’m diving into a book on yoga philosophy, reminiscing with a classic, or rereading Harry Potter for the hundredth time, I know I am learning something new. One of my life goals is to write a novel of my own — so just wait a few years and you might see a bestseller with my name on it! What invigorates me: A walk in the woods or the mountains or on the beach… really, any time spent outside! Feeling the natural coolness of grass beneath my bare feet or the sand between my toes makes me feel connected to the natural world. It’s very grounding, mentally. I’ve never been able to build a seated meditation practice — it turns out running wild is my kind of zen! — but escaping into nature always creates new energy and insight that I can bring into my daily life. What exhilarates me: A challenge. Stepping up to face a new challenge requires vulnerability, commitment, and total grit — and together, that creates success, even if it takes a few tries. I like to look at most things — big or small — as a challenge, because that fuels my motivation and interest. I am addicted to the nervous excitement I feel before sending it down the mountain on my snowboard, not knowing if I’ll fall on my face or learn a new trick. Nothing beats the satisfaction of chowing down on a fancy, homemade dinner after a few failed attempts and one small oven fire. Recently, I’ve conquered the challenge of waking up before 8 a.m. on a regular basis, which means I have extra time in my day to devour a novel, hike Sanitas Mountain, or challenge myself to take one of Taylor‘s Exhilarate classes at the studio! 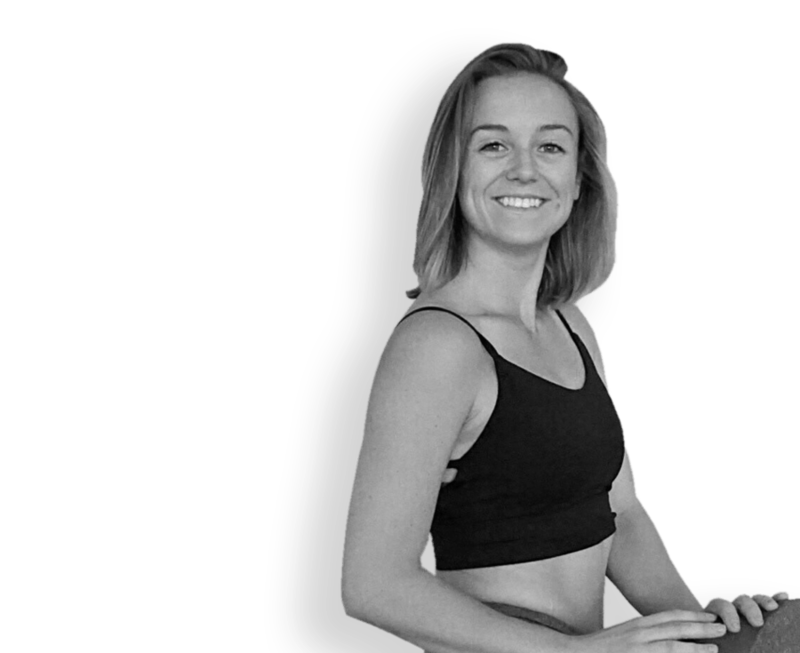 Check out our class schedule to find out when you can practice with Sarah next!